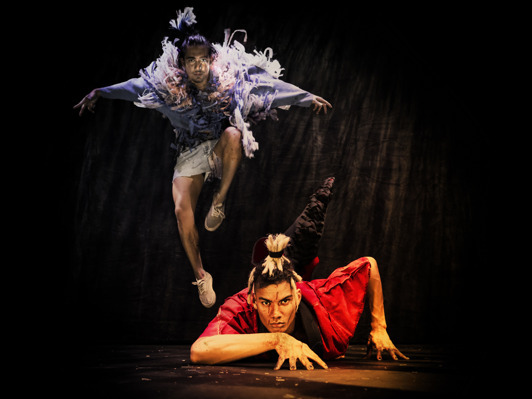 5° by Twisted Feet is an innovative visual urban creative dance show. The project is a collaboration between Chalmers University of Technology, Wingqvist Laboratory VINN Excellence center, Stora Teatern (The Grand Theatre) and A Win Win World. By combining culture, science and education into a creative production we aim to influence and engage young people to take a step in the right direction and act on climate change. We are planning for a Nordic tour in 2016 and an International tour in 2017. The tickets for the first five shows in September sold out and 5° was nominated as this years "Spot on" at Scenkonstguidens gala award. 17-19th December is the next opportunity to see the show at Stora teatern in Gothenburg, Sweden. 250 SEK /person. 150 SEK for students. 5 degrees is more than only a dance show. Our follow up program offer a special toolkit for schools, as well as business oriented Action-Labs for companies, who want to address climate change and get more action for a sustainable future. For more information about school programs and business programs, contact asa@awinwinworld.com.